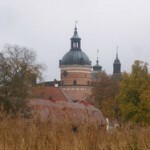 Gripsholm Castle is located on the bank of Lake Melaren near a small town of Mariefred, known by its old narrow-gauge railway, in some 60 km south-west of Stockholm. The castle gained its name by the name of Bo Jonsson Grip a Swedish chancellor, who had founded the first castle in Mariefred in 1380. Its construction lasted till 1383. 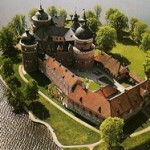 The castle was repeatedly rebuilt. 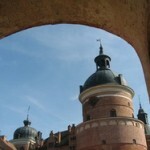 Its history is closely intertwined with the history of Swedish kings’ reign.